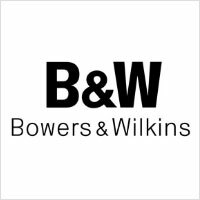 Bowers & Wilkins is the iconic British brand head-quartered in Worthing, that delivers clear and outstanding sound to all those who buy its products. Its fame is as classy as the name itself – bringing to mind pictures of old British gentlemen hobbling about to create headphones. B&W is one of the premier Hi-Fi system makers and has a propensity for ensuring this high fidelity is reflected in its small-scale earphones and headphone systems as well. From the MM-1 computer desktop speakers to the iconic high-end Nautilus and 800 Series Diamond range of hi-fi systems, B&W also produces excellent wireless car music systems. Its speakers are well known to deliver music without any additional distortion and provide a very neutral and studio-mastering capable frequency response. The company also makes excellent custom installed home studios that blow the world away with their beautiful and undistorted reproduction of sound. The famous Abbey Road Studios use B&W equipment to record the new artistes and have consistently maintained that these are the most versatile maker of headphones in the world. Skywalker Sound in California also agrees and adheres to this tenet, featuring Bowers & Wilkins sound across the board. 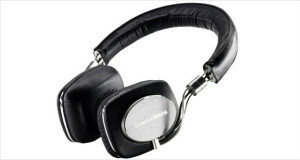 The sixties were a phenomenal time for headphones, with several companies starting to produce top notch headphones. B&W was one such company that was founded by John Bowers and Roy Wilkins in Worthing, UK where it remains headquartered to this day. It began as a radio and electronics shop post World War II selling services and television rentals. By the 60s, public address equipment were in demand in several of the local churches and schools and Bowers started a small assembly line for loudspeakers in their little radio shack. By 1966, Bowers spun off the B&W Loudspeakers Ltd.
Like another 60s headphones visionary, Amar G. Bose, Bowers also believed in extensive research to intensify and eke out the best sound from audio equipment. By the 70s ionovac equipped tweeters from B&W were licensed and sold in Japan by Sony. Exports started picking up post this exposure and eventually the company would go on to win several Queen’s Awards for Export. In 1979 B&W developed and sold the 801 reference loudspeakers that were the gold standard for the industry – adopted by Abbey Road Studios, Skywalker Sound, Sony Music Studios as well as EMI, Deutsche Grammophon, Decca and Philips. In modern times, the company is accredited with creating several hi-fi car sound systems as well as the iconic Zeppelin iPod dock that looks and feels like a hi-fi boombox of the future. The Bowers & Wilkins C5 headphones with Secure Loop and microporous design are what happens when they wish to marry the hi-fi sound of their original loudspeakers with the portability and small form factor of in ear monitors. 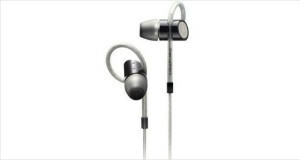 They offer clean, detailed and natural sound that will definitely take your breath away. Furthermore they also manage to look extremely classy and subtle with the secure loop ensuring that they do not fall off your ears very soon.